Identifying differences between a table and a desk is a matter of "knowing it when you see it." Desks and tables both provide a solid, flat, horizontal surface that usually is supported by vertical uprights, or legs. Beyond that, the major distinction between a table and a desk is the use to which it's put. A white desk in a modern office. An open drawer attached to a desk. 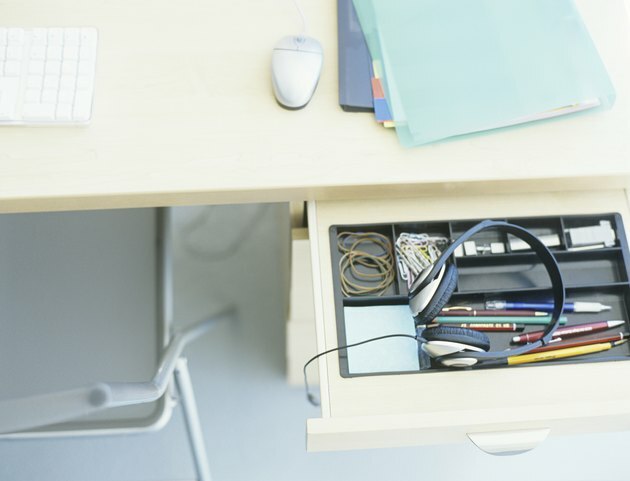 Desks are related to work, so a desk usually -- but not always -- includes drawers or shelves to store work-related material. Desks usually are supported by legs, but some desks are mounted along one side to the wall. The height of the desktop is limited to the range of comfortable use by a seated or sometimes standing person. Along with their association to work, desks typically are used by only one person, who often "owns" it, such as Mom's desk, teacher's desk and so on. Table surfaces have many uses, such as eating on, socializing around or playing games on, and may provide a work surface such as for food prep in the kitchen or homework at the dining table. Legs usually support tables, but pedestals support some tables. 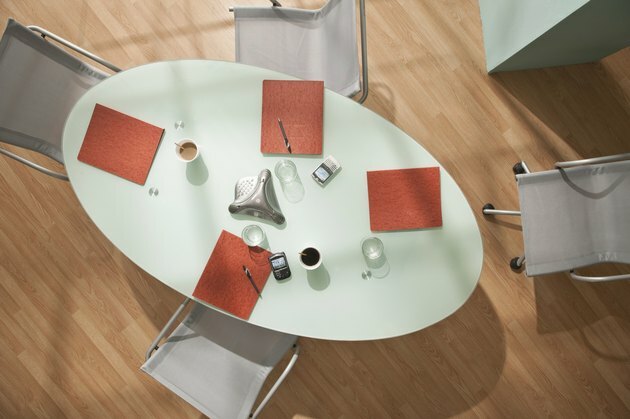 The size and height varies, from large conference tables to small end tables and low coffee tables. Tables typically don't have built-in storage, except for coffee or end tables, which may include shelves, drawers or cabinets. Tables can be used by many people and usually are not associated with any particular person.